Fortnite is the game of 2018. Sure it’s only a few months into the year, but we already know it to be true. Games may come and go—like so much of our digital world—but Fortnite is here to stay. It takes a special game to be featured in the professional sports world, referenced in many baseball, soccer, and football, celebrations (and played during rain delays), as well as the eSports world, all at the same time. From millions of viewers on YouTube to billions of minutes watched on Twitch, Fortnite is going places no game has gone before. If you’re feeling that nagging sensation of FOMO (fear of missing out) right about now, no worries. We’ll get you up to speed in no time. In this post, we’ll take a look at why the game is so incredibly popular, what’s great about the FN community, and what we’re doing at camp this summer to help bridge the gap between playing the biggest and best games and learning how to make them. So what is Fortnite, basically? 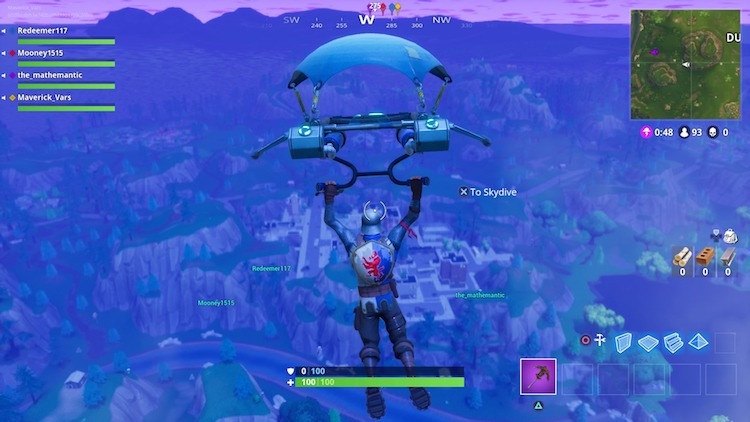 Fortnite is a third-person, co-op, open-world survival game developed by Epic Games out of Cary, NC. The team behind the title is already well known in the industry for its other creations: Paragon, Unreal Tournament, Infinity Blade, Gears, and more. Even more so, it’s the foundation of those games, the engine—Unreal Engine—that’s been capturing headlines since 1998. Used by beginners and professionals alike to teach, design, and build games, Unreal Engine is ingrained as the industry standard. Fortnite appeals to the same audience—from those just discovering third-person games to the experts who grew up playing them. What does that mean for iD Tech and our campers? From our earliest game design course featuring Epic’s Unreal Engine back in 2009 to the recent unveiling of Fortnite as our main educational third-person shooter (FPS) game, eSports and gaming have always been at the core of our innovative course lineup. And it’s all dictated by gamers. The games they play keep the industry on its toes, pushing the limits of what communities look for and expect in each new title. We need to play by the same rules, and thus, we regularly take a good hard look at the different options available to feature at our camps. In doing so, we decided to make a change for 2018—we retired Counter-Strike: Global Offensive, an eSports staple, and inserted Fortnite in its place. For us, while it’s important our courses are reflective of the current and future industry landscape, it’s also important that they exude positivity and fun. This is summer camp after all! Fortnite is that game, and besides being an absolutely entertaining smash hit, it’s a title that leaves anyone who comes across it wanting to dive deeper—to learn more than simply how to be a better gamer, but also how to go about creating something so incredibly engaging. We’re now relying on Fortnite to bring game design learning to a whole new generation. Awesome! Tell me more about the course! With our exclusive Fortnite summer camp, teens will go beyond where they could on their own as gamers, to code, design, and build their very own Fortnite-inspired battlegrounds at camp. Along the way, they'll discover gameplay strategies and game design mechanics, diving headfirst into team building, streaming, and level design analysis. We’ll jump back into the course itself in a bit. You can learn more here if you don’t want to wait! How did Fortnite become so popular? It’s a great question. How has one single game brought so many gamers together from all over the world? One big reason is the fact that Fortnite Battle Royal is FREE! That’s right, there’s no monetary barrier in the way of getting started. The only thing you need to get going with Fortnite is your own skill and determination. That’s not to say there aren’t ways to spend money in-game, but for the 100-player survival matches, the result of that spend is purely cosmetic. That means no matter how much money anyone spends in the game, it won’t enhance their chances of winning. Players can change avatars or give them a dance or an emoji to throw out in-game, but a real advantage in terms of winning? There isn’t one you can buy. No matter where you’re from, what you do, or what platform you’re on, you can play. That means the normal $70 price tag that prohibits so many from being able to play Triple-A title games is gone. What about the gameplay is so appealing? Being free is great, but beyond entry, the real reason this game is so popular is that it’s truly fun—there’s no other way to put it. It's why Fortnite is one of our best video games for kids. It’s a kind of natural, open, personal fun that gamers rarely see, which is perhaps only rivaled in the past by the phenomenon of Minecraft. Fortnite is a game offering moments unique in every match—and oh are they shareable. How can such a massively adopted game be personal and unique? To start, when you enter a match, you only carry one thing—a tool, which for some is an ax, others a shark on a hook, and others an anchor. No matter what it is, the tool is there to help players gather resources for building (which is another HUGE piece of the game, and one we’ll spend time explaining in a minute). Everyone begins as equals, and it’s experience—and often intuition—that guides players early on. Players seek chests filled with loot to help them take on the competition, which can be anything from an egg-throwing launcher (thanks to a recent Easter-themed week) to a simple bush in which to hide. When all is said and done, each player gets to choose the journey they take! And like so many YouTube stars are showcasing, there are a million ways to play Fortnite, each as valuable and fun as the next (albeit some are more challenging). To win, you have to outlive or eliminate your opponents, and as you might have guessed, there’s no one way to do this. Using your terrain, environment, and building abilities, there’s always a new strategy at play. Speaking of strategy, here is our exclusive Fortnite Battle Royale Strategy Guide! And how about that “building” component? Yes, I promised we’d get into building, as you really can’t dive into what makes Fortnite great without mentioning it. In Fortnite, using big, LEGO-like blocks, you can construct buildings out of walls, floors, stairs, and roofs, allowing each creation to be unique and your own. Such an element adds strategic and design skills as a key aspect of gameplay—not just as an afterthought, but as one of the main skills to... ahem... build. This isn’t just a “shooter” like other FPS games. No, it asks more of its players, and winning demands a wide variety of skills and problem-solving techniques that many games simply don’t require. A challenge, then, is unique in every variable the game can offer, driving players to keep going, keep trying new things, and exploring to their heart’s content. What about the look and feel? The style of Fortnite is amazing. It’s a perfect blend of caricature and reality—not a cartoon, not a lifelike person. It’s a welcoming style everyone can enjoy, and Epic nailed such balance. The avatar costumes are fun, themed, and sometimes hilarious. Don’t take it too seriously, have fun, and make it your own. How about socially? And the FN community? Fortnite really does go out of its way to make the environment a safe social space built for sharing. You’re reminded as you play any match to have fun, and the community around the game is uniquely positive, with most players acting in a manner the game makers intended. There’s a real sense that everyone is having a great time, and there’s relatively little toxic behavior. Better yet, those unique and personal moments become shareable, because each match offers something new. In addition to sharing those moments with Twitch or YouTube followers, players can easily share with their closest friends. 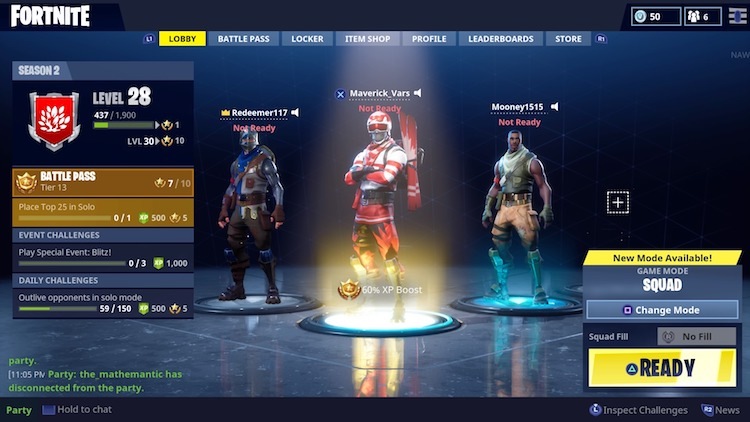 For instance, Fortnite allows you to link with up to three friends at a time, playing as a squad, to share your incredible gameplay moments. This means you and your team will compete against 96 other people vying for the win! With how easy technology has made sharing on all gaming platforms, the community is able to thrive, with new videos, clips, and GIFs going up all the time. Fortnite adds to that experience effortlessly. Okay, I’m sold on Fortnite. Now what? For all the parents reading this, I implore you, go play Fortnite. Play a few games with your children and have them show you their favorite strategies and their own personal take on the challenge of gameplay and design. The best way to know if this is the game for your young ones is to try it out with them. Then, once they attend camp and learn even more about how the game is created, have them show you what they learned… while you play! Not only will you be reinforcing all the amazing things they learned at camp, but you’ll also be connecting with them over something they love. In the end, Fortnite is so much more than a game—it’s an experience that players lead in a unique way, with friends, while competing in an equal space for that coveted win. 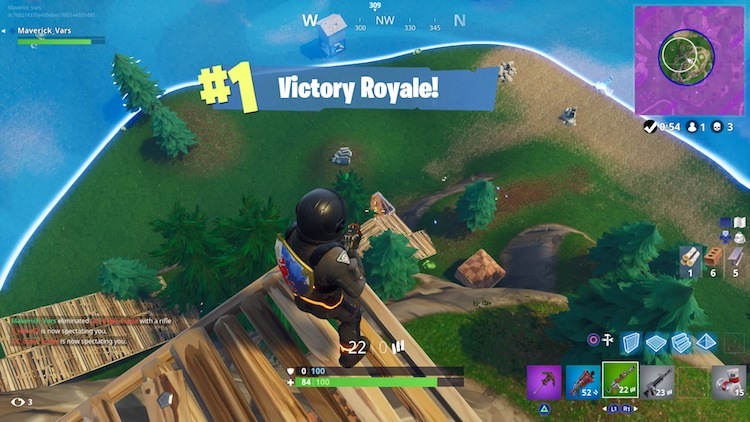 And beyond that, as many Fortnite players will tell you, it’s not all about the win—it’s the moments in-between that can be the most fun; finding those once-in-a-lifetime experiences in a game of infinite possibilities. Be sure to check out our Fortnite course and eSports summer camp. Have fun, and see you online!